The Vitaceae is a family of 13 genera and around 800 species including many tropical and subtropical climbing plants, with stems usually bearing tendrils which are positioned opposite to a leaf. 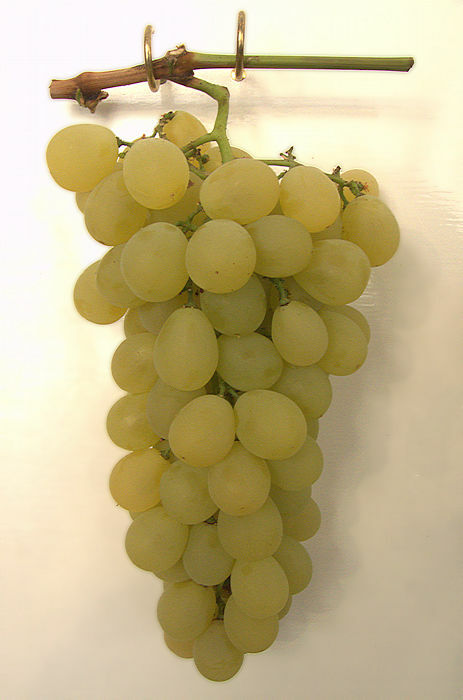 The grape vine Vitis vinifera is an economically important non-succulent species, cultivated throughout human history for its juicy fruit, much of which is fermented into wine. The fruit of a number of other species of Vitis is used for jam, wine and grape juice. However, fruit of some genera of Vitaceae (e.g. Virginia creeper Parthenocissus quinquefolia grown as an ornamental) contains oxalate which is poisonous to mammals, although not to birds. Succulent genera: Within the family Vitaceae, only the genera Cyphostemma and Cissus have succulent members, in some cases with a caudiciform or pachycaul habit. These succulent plants need to be kept warm, especially when small. Bunches of small grape-like fruit are produced, but the berries are hard and inedible and may be poisonous. The genus Cissus includes about 350 species of woody vine, distributed across the tropical and substropical regions of the world. Only around 22 species are truly succulent with fleshy, tuberous roots or a caudiciform base (Cissus tuberosa) or succulent angular stems (Cissus quadrangularis) or fleshy, succulent leaves. 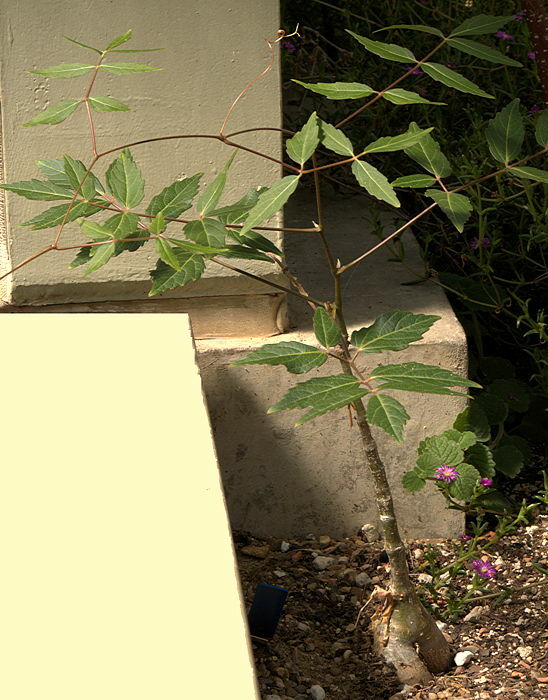 Leaves are sometimes simple but often divided into leaflets and attached to the stem by a short 4-angled stem with a characteristic swollen node. Flowers are cymose with the flower at the end of the stem maturing before the others. Some species are grown as houseplants for their glossy, green foliage. Drinking water make be obtained by cutting the stems of some species, hence the common name. 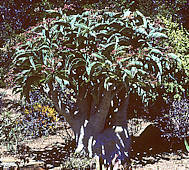 Most of the large succulent caudiciform species formerly included have been moved to Cyphostemma. Traditional medicinal uses are for promoting healing of bones, tendons and ligaments. A vine with simple heart-shaped leaves. 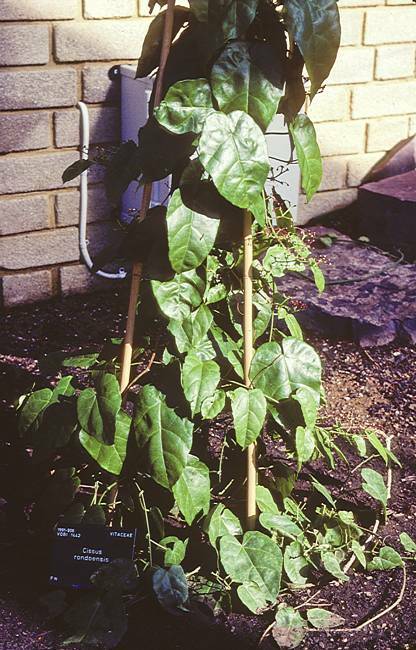 This trailing or hanging vine has a thick fleshy, jointed, angular, branching succulent stem with a notched tri-lobed leaf and and opposite tendril produced at the stem joints. 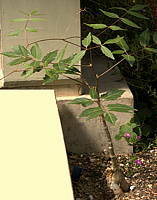 The stem can grow several tens of feet long. The raceme of small greenish-white flowers is followed by red berries. 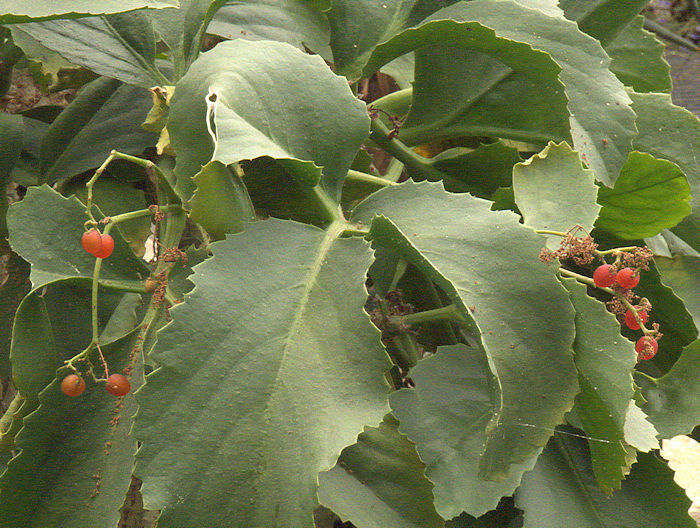 Cissus quadrangularis is native to India, Ceylon and Southeast Asia, Africa and Arabia. It features in ayurvedic medicine to help heal broken bones, damaged ligaments and tendons. Extracts of the vine are widely marketed to assist weight loss. 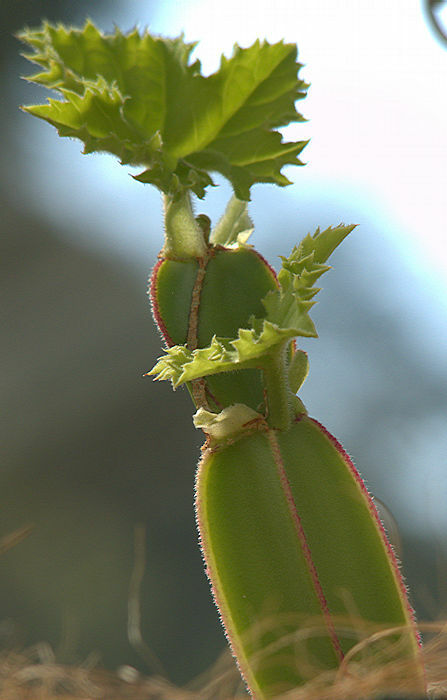 The globular caudex produces a thin climbing vine with deeply dissected leaves. Aerial roots or tendrils may be present at the nodes. All parts may be slightly pubescent. 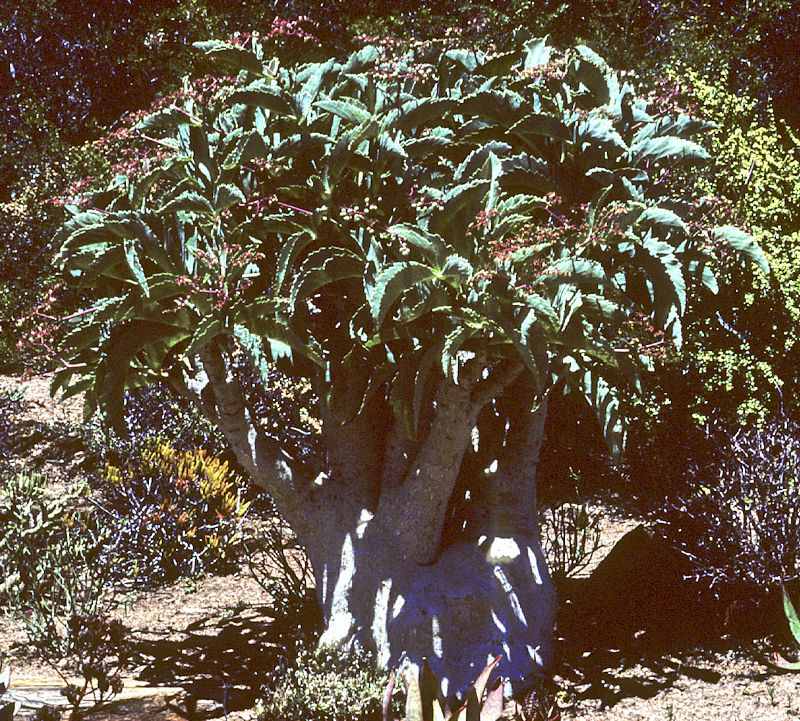 The genus Cyphostemma includes around 300 species from the Old World, of which only a few are succulent, taking the form of caudiciform shrubs, trees and scrambling lianes. They are native to Southern Africa, Madagascar, Arabia with just a few in Asia. The deciduous leaves may be simple but are commonly divided into 3, 9 or 11 parts. The racemes of small flowers are followed by small poisonous berries with a high tannin content and usually with a single relatively-large seed. The pachycaul species in this genus enhance any collection of succulent plants. Although large plants may withstand a touch of frost, they are best kept in frost-free conditions with a very free-draining potting mixture. Named for: Jutta Dinter, wife of one of the original authors. This outstanding succulent plant is the best known Cyphostemma. The thick trunk with papery, peeling bark can grow 6 ft tall and during the growing season has a head of succulent green leaves with toothed margins. As the leaves fall at the end of the season the thin ends of the branches tend to self-prune. The inflorescence produces a cluster of poisonous red berries. Native to Namibia. This xerophytic plant thrives on irregular watering. Water very sparingly when dormant. Propagate from seed. Name: 'Laza' is the common name in Malagasy. The conical caudex with peeling skin grows 2ft or more in diameter and produces a branching vine up to 20ft long. The deciduous leaves have 7 to 9 lanceolate leaflets. The dark purple grape-sized fruits are poisonous. Native to Madagascar, so needs some warmth throughout the year. will not stand frost.